Home FM Blog Why Shouldn’t One Miss Take Off Movie from Cinema Halls? 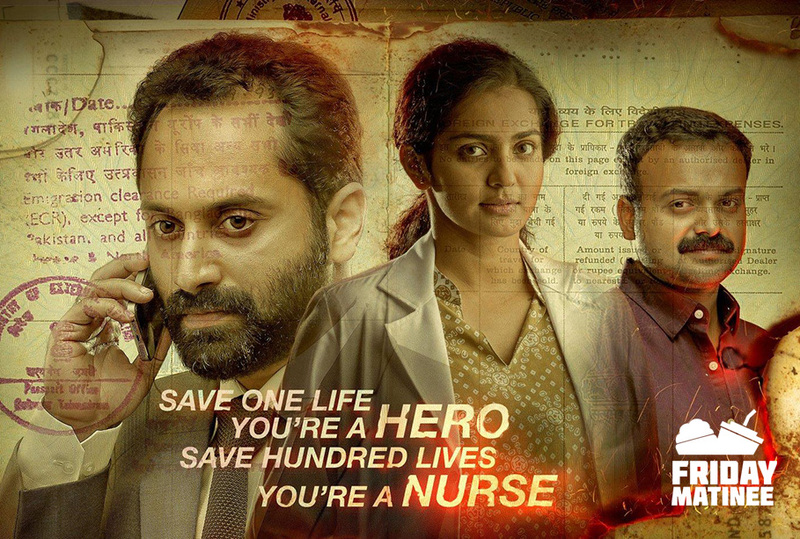 Take Off Movie is Malayalam Survival Thriller based on the ordeal of Indian nurses from Iraq in 2014.The film is the directorial debut of editor Mahesh Narayan, with Fahad Fasil, Kunchako Boban and Parvathy starring in the lead role.Take off was a dream that Late Rajesh Pillai,pioneer of the new generation wave of malayalam cinema, had. Unfortunately Rajesh left us last year to another world of peace. But Megha Rajesh,wife of Rajesh Pillai was not ready to bow down to the world. She took up Rajesh’s dreams with the help of his friends and colleagues forming Rajesh Pillai Films company. Take Off opened to highly positive responses probably the first in recent times for Malayalam cinema.It also received outstanding word of mouth from critics, audiences and Superstars from Malayalam and Tamil industries. The movie is really doing good at box-office too, it has made total business of close to 8 crores from Kerala alone in 16 days of its run. However, movie seems to have reached only one particular part of the audience. in-case you are on other part this is for you , here are some good reasons to watch this movie from cinemas. The very first reason is theater experience that you get from the movie. Take off is a one amazing experience that one has to experience from the big screens. The richness that each visual frame brings you will remain with you inspite of leaving the cinema halls.An experience that no torrent download can give you, An overwhelming feel.Talking about Technical side,one must have noticed from the trailer that it gives us the feel that the shoot had taken place in Iraq but in reality the shoot was done in Dubai. This itself speaks about the hard work put behind the art work and set which gives the viewers the feel of Iraqi land. Also there is a scene in the trailer one seen where Sameera(Parvathy) proposes Shahid( Kunchacko Boban). This shot is so special and naturally absorbed in camera as we don’t see the typical winds whistling the heroines hairs or neither a “pakka romantic” bgm to it. The bgm composed by Gopi Sundar just gives the situational feel and thereby stops soon after the proposal scene. Gopi Sundar’s BGM at various intervals of time has always been situational and apt. The final BGM towards the climax when the Indian national flag is shown gives every movie goer goosebumps which clearly states one doesn’t need a war movie to pull out his patriotic smile after seeing the national flag. Adding to all these factors Mahesh Narayanan’s Editing was at his best , probably the best of his career which he saved for his debut as Director as there weren’t any extra cuts or extra scenes put in at any of the visual frame. Apart from the technical features it is important to mention the performance of the actors in Take Off. The backbone of the movie is none other than Sameera. Ooops! Parvathy, well this happens when one live as a character.State award winner Parvathy is on a spree in choosing the characters. Sarah in Bangalore Days, Kanchanamala in Ennu Ninte Moideen, Tessa in Charlie and now Sameera in Take off. 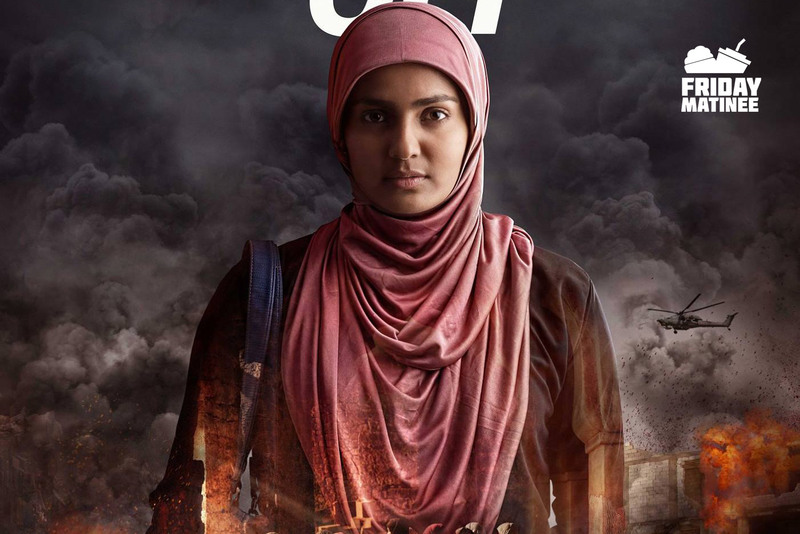 Parvathy was living in as Sameera in every single frame of the movie. Fahadh who is scene as Indian ambassador Manoj Abraham does a neat and subtle acting, the reason why he is known as the best when compared with his counter parts. Kunchacko Boban probably delivered one of the finest characters of his timeline playing shaheed, which he pulled out amazingly. Another actor to be noted was Divyaprabha , lesser known to malayali audiences. She played a brilliant support to Parvathy throughout the movie.